Whether we have been the ones to put a hault to something that could make a miraculous change in our life or it is someone who is considering becoming a client, it is not uncommon for people to exhibit this kind of behavior. There are stages that people go through when there is a problem in their lives. This is where people are in denial and can’t even see the problem. The future or what might be is not a good enough motivator. The “Why” is not strong enough. The likelihood of getting them to work with you are slim if they are in this stage. It is best to continue to nurture during this stage. If you get a lot of people in this stage, work on narrowing down your Facebook targeting so that you are getting people who are in the next stages. This is where someone is actually beginning to see the benefit of making a change. The problem has been acknowledged! They are asking questions and thinking things through. They are looking at possible solutions. This is where “some day” may reside for some people. This stage is a great opportunity to start providing value to your client. Be there to answer questions. Provide solutions with your opt-ins. Show them what you have to offer. This is where someone is working on preparing to take action to solve the problem. Some convincing may still be in order but they are SO close! They are asking even more questions and getting their ducks in a row. This is the stage where you want to get those discovery calls scheduled. They have actively done research. They are seeing the benefits. At this point, they may just need help figuring out the financial piece or another rundown of the benefits of working with you and the results they may see. Lay it all out in a clear manner. This is where people get moving and DO something! They are actively working toward their goal. Other people may see it and comment. At this point, they have chosen to work with you. Wahoo! Things are changing and they are seeing changes. Now it’s time to nurture, nurture, nurture and provide value up the wazoo. Not only do you want your client to be successful but you want them to be successful for LIFE so make sure they leave your program with a plan. This is where the solution or goal has been achieved. It is the time where a plan is made to ensure that you remain successful. This is also the glorious time when a person can look back, see how far they have come, and vow to never go back. What more is there to say. This is the sweet spot. You’ve guided your client to their solution. 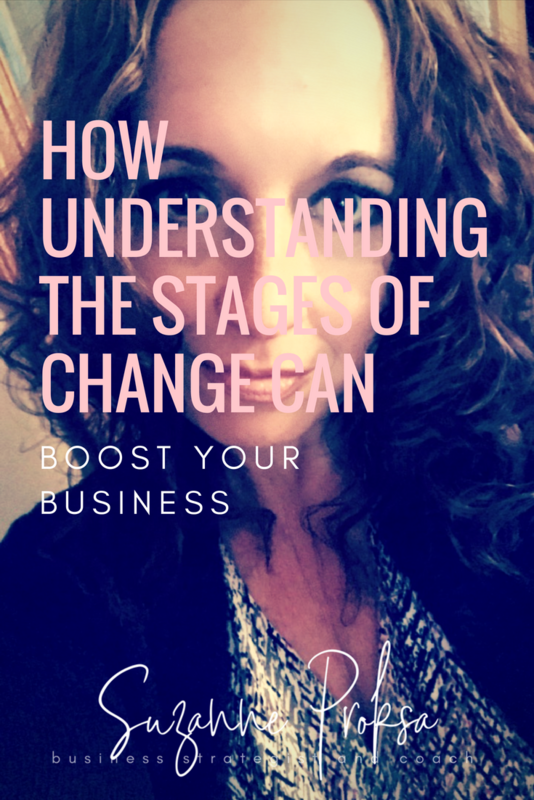 Understanding and working people through these stages will take you a long way in your health coaching business. You will spend less time and money bringing in people who are never going to do the work. Otherwise known as the perpetual pre-contemplation peeps. By observing and connecting, you can tailor to your potential client’s exact needs and move them through the process to the action stage where you can start changing lives and doing what you love! Check this live training I did on the Stages of Change. READY TO ROCK? : As a former health coach, I get the added struggle you have getting clients in the door. If you feel stuck in your coaching business and you are ready to work with a mentor so you can start getting clients and doing what you love, check out my coaching packages and apply for a Discovery Call with me HERE. We can chat for free if see if working together would be a good fit! CHECK OUT MY FACEBOOK GROUP: Looking for support from an amazing group of other female entrepreneurs? Request access to my Private Facebook Group at http://fempreneurs.biz. LOVE ON MY PODCAST: Run, don’t walk, to my podcast! I so love it! You can check it out HERE. Be sure to show me some mad love in the reviews!